Lot Detail - 1958 Masters Tournament Series Badge #2882 - Arnold Palmer First Masters Win! 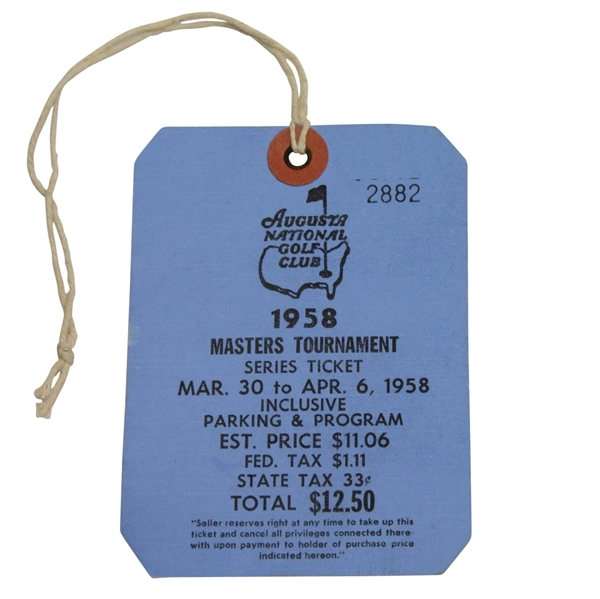 1958 Masters Tournament Series Badge #2882 - Arnold Palmer First Masters Win! Offered here is a Masters Tournament series badge #2882 from the 1958 tournament that saw legend Arnold Palmer's first of four Masters victories and his first major championship. 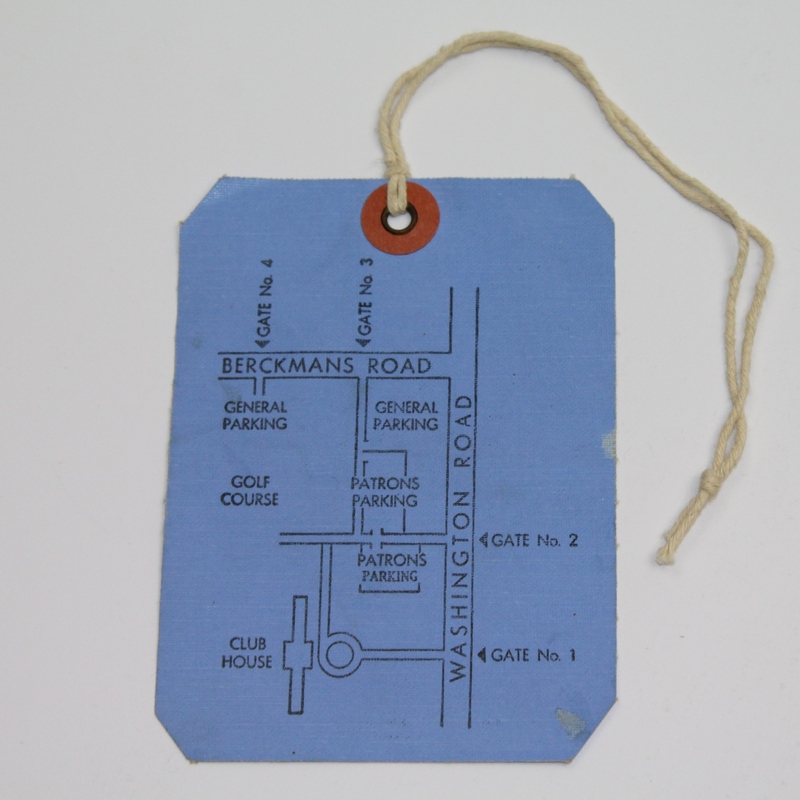 The ticket is in great condition and the original string is still intact. There are a few blemishes on the back of the ticket, while the front is flawless. Whether you are celebrating Palmer's rise to stardom or are looking to expand your Masters Tournament collection, this badge will satisfy your needs.